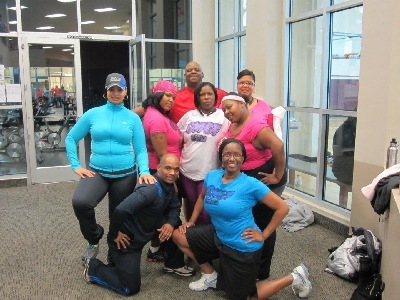 Get Mad Get Fit is a secondary avenue to the "traditional" personal training methods offered at various fitness clubs. 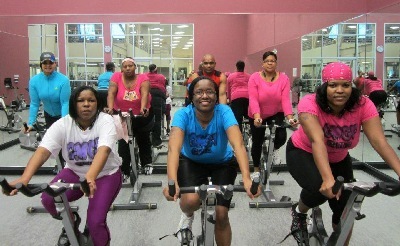 The methods of Get Mad Get Fit allows for workout buddy partnership, group workout sessions within the Puget Sound Areas for the sole purpose of bringing together those of a strong commonality of attaining better health. Getting fit is just half the battle. You have to change your entire lifestyle that incorporates movement and what better way of doing it but with a group of other's dedicated and devoted to the same goals as you! 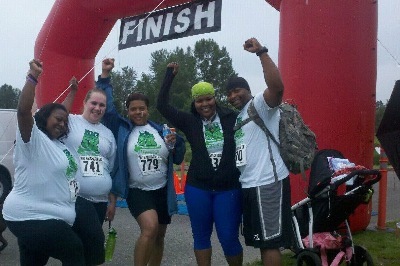 10 Week Challenge Team ! We are one hot looking team of drivers!!! 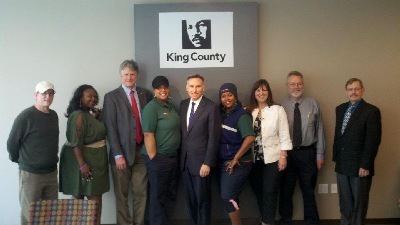 10 Wk Challenge Grand Prize Luncheon with King County Executive Dow Constantine!!! Lushissly Thick Ladies of G.M.G.F. 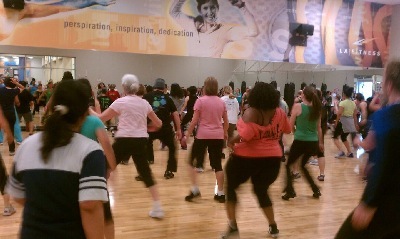 We love and embrace our curves while getting fit. Thick and Fit is here to stay! Being healthy is not about maintaining a "number" ....Because Skinny doesnt equal Healthy! Everyone holds weight differently. Thus embrace your curves and love you before change can be made. We constantly challenge ourselves and reward ourselves with fun events, trips etc. Not FOOD!!! Thank you for visiting our new Internet site! Click here to contact us. Or, follow us through our Weight Loss Journey by clicking on our BLOG !